"It's as if you're standing in the middle of New Brunswick," said Susan Levi-Peters, the former Elsipogtog chief. "And you're looking down, and one of the rivers is going this way and the other river is going that way." For hundreds of years, Indigenous people travelling by canoe from the northeast coast of the continent down to the southern coast of what is now the United States were faced with a long, treacherous, journey — in coastal waters. They would have had to paddle along much of the coast of present day New Brunswick, around much of Nova Scotia, perhaps even Cape Breton, before eventually reaching the Gulf of Maine. But they knew their way around the waterways and the land in between. That knowledge — and a tiny trail in the woods — allowed them to cut through the interior of New Brunswick, shave weeks off a journey and avoid potentially dangerous ocean travel. Levi-Peters refers to the trail near Harcourt as "the Centre of New Brunswick." "We were always moving around," she said of her ancestors. "We would go with the seasons. And this is one of the trails that they would [use to] to follow the rivers." Some of the evidence is in the artifacts found in New Brunswick and Maine that are known to have come from northern Canada, often from Newfoundland and Labrador. Levi-Peters said First Nations used used the ancient portage trail as they carried out trade in weapons, tools and other items, and currency, possibly even the Maine Penny. The puzzling coin of Norse origin was found in Maine, but some archeologists believe it was brought south by traders, who obtained it from early Viking visitors in Newfoundland. In centuries past, portage trails were used so often, they were engraved in the land. But when the canoe was replaced by horses, and eventually automobiles, the trails were reclaimed by forests. Last century, the trails began to be unearthed, after years of study, research, combing through the forests, and living in the woods. Robert Doyle has been studying the ancient portage routes since 1995 from his simple cabin in Little Bartibog, on the outskirts of Miramichi. His desks are piled high with yellowed books and worn journals from the explorers in New Brunswick's past. His walls are plastered with maps. In a corner sits a towering filing cabinet stuffed with journals, writings, maps and surveys on every single river, stream and creek in New Brunswick. "When other young lads were reading comic books, I was reading maps," said Doyle. "It was always fascinating where the rivers were. "So, when I got old enough and could afford it, I got myself a canoe and I already knew all the rivers. And now I've run pretty near all of them." A decade after Doyle began his obsession with mapping the ancient portage trails, he decided to write a book about them. An early, unfinished copy is 893 pages. Now at 64 years old, the retired carpenter has spent more than two decades not only in museums across New Brunswick and Maine, researching the ancient portage trails, but also outdoors, studying, travelling and living on them. "Oh, yeah, I've camped, Jesus, yeah," said Doyle. "For weeks at a time." 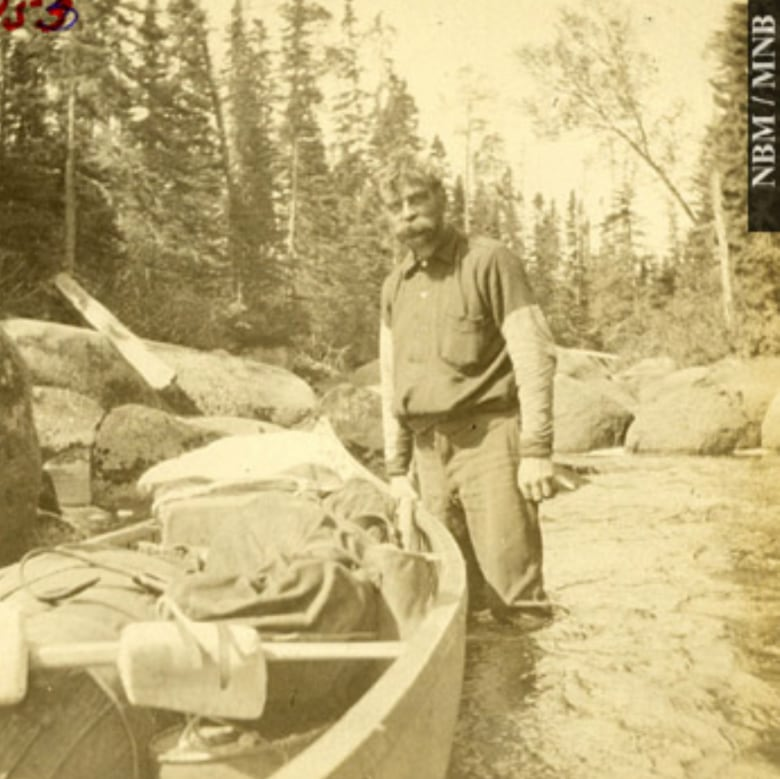 Doyle's purpose, he said, is to advance the work of W. F. Ganong, the highly motivated botanist and cartographer who explored the New Brunswick wilderness in the early 1900s. Doyle, however, is using modern maps, GPS software, "all the stuff he didn't have in his day." Ganong, a graduate of the University of New Brunswick, Harvard, and the University of Munich, spent his free time mapping the province. 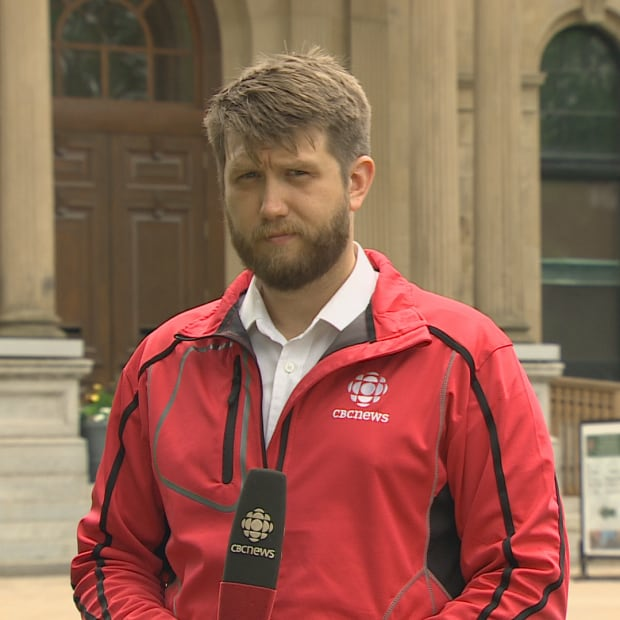 The New Brunswick Museum says he learned different Indigenous languages so he could consult various communities on their history and get some guidance for his exploration and understanding of the land. Ganong's journals cover everything from plant life to the most obscure seasonal creek and serve as the treasured primary documents Doyle has launched his own writings from. 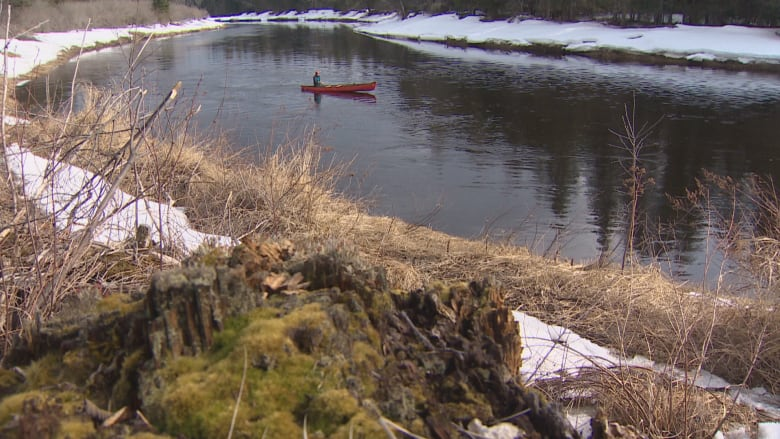 Doyle is especially interested in 82 ancient First Nations portage trails that connected rivers, but there are many other routes, he said. "There would have been a whole series of portages around falls and rapids all through the province." 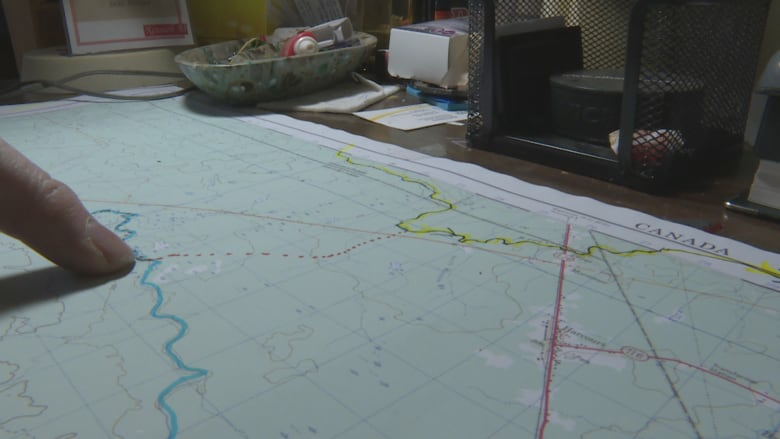 After poring over centuries-old maps and documents and Ganong's journal interviews with First Nations members, Doyle plots what he expects is most likely an ancient trail in GPS points. Then he goes into the woods. "You can only see so much on [topographical] maps or aerial photographs," he said. "You've got to get into the bush and walk that exact route, from waypoint to waypoint, just to see if it makes sense on the ground." That's what led him to the trail in Harcourt. From evidence in old maps and articles, Doyle believes he got it right. "The route that I plotted … is pretty darn close to where the ancient trail would have been." Despite his own decades of research, Doyle lauded a small group of dedicated volunteers for transforming his GPS co-ordinates into pathways through the forest that once again connect liquid highways. Centuries have passed since regular travel in New Brunswick involved moccasins and birch-bark canoe. Today, even Route 116 cuts across the old trail in Harcourt. But the "Centre of New Brunswick" trail is there, and it's still passable. During winters, when much of the portage route is packed with snow, a clear route can still be found winding through the trees. That's thanks to the recent work by volunteers who have set out to reignite the use of the ancient trails by hikers, paddlers or those just out for a stroll through history. 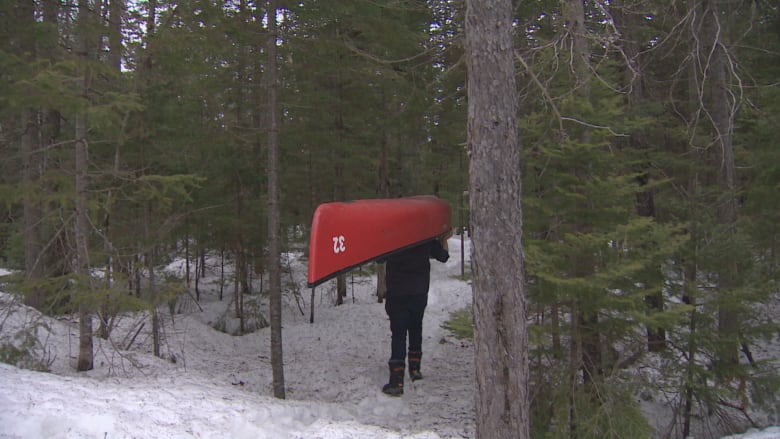 "Several years ago we decided that we wanted to do something to take a look at the ancient trails," said Tim Humes, of Canoe Kayak New Brunswick, a recreational paddling association. "We've identified six trails that we thought are the most worthy at this point, for practical reasons, to restore," said Humes, the co-leader of the group's heritage committee. "So, for the past eight to 10 years, we've been working to restore those trails." Humes and the volunteers from across the province have been clearing out the undergrowth, moving fallen trees, and making ancient trails accessible. They'll also place a footbridge, crushed rock, and a boardwalk on portions of a trail and prune overhead foliage to ensure plenty of space for those carrying canoes over their heads. While the lion's share of the manual labour has gone into restoring a pair of portage routes in northern New Brunswick, including one at Mount Carleton Provincial Park, Humes said much of this summer will be dedicated to the trail near Elsipogtog First Nation. "The view is to keep the land as pristine as we discovered it, with the exception of clearing the trail of course," Humes said. It's a constant battle for the crew, since plant life is quick to reclaim routes, and every year, the elements throw up obstacles. Hundreds of fallen trees needed to be cleared away from a trail a few years ago, victims of winter ice storms. In Harcourt, as elsewhere, wildlife actively works to undo the route. Beavers routinely flood portions of the trail, going as so far as to submerge sections of boardwalk installed to make travel over muddy moss more manageable. 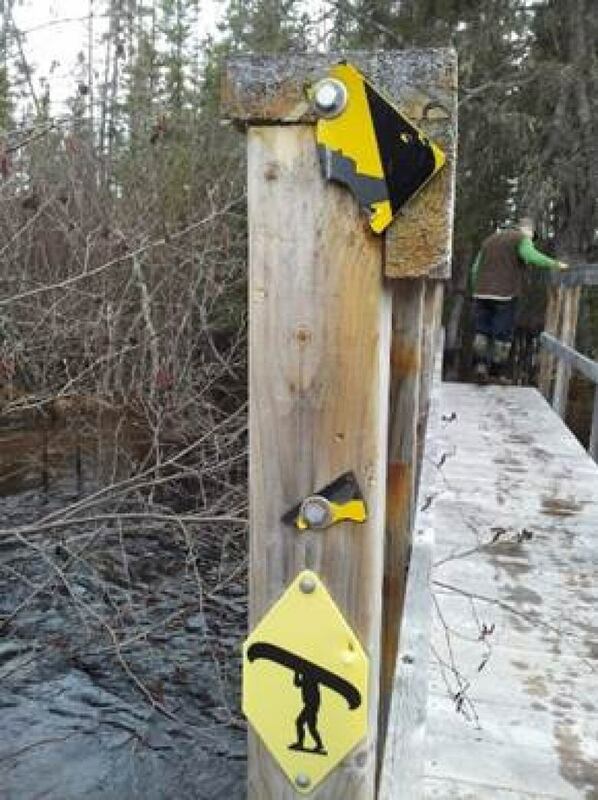 And whatever their motive, black bears like to claw and eat the "Canoe Kayak NB" signs that mark the trail. "For some reason the bears don't like the colour that we have, with the black on yellow," Humes said. "And they've beat some of our signage up on some of our bridges." If the group stopped its restoration efforts, he said, nature would once again take the trail back to the way it was before Robert Doyle's detective work. The Harcourt trail's unique location is geographically significant, even to today's engineers. "It's a natural flow for canoes," said Antoyne Richard, a retired Kent County district engineer who has studied the trail and the land surrounding it. "We have a river that flows west to east on one side of the trail," Richard said. "And on the opposite direction to Chipman, then Grand Lake, and the St. John River into the Bay of Fundy and on to Boston if you want to go." Decades ago, Richard helped build Route 116, and the work drove his study of ancient pathways. 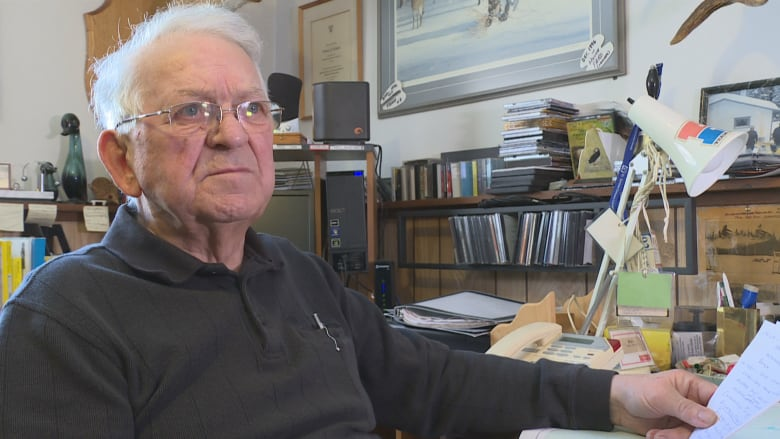 Richard believes the Harcourt-area portage would most likely have been taken by some participants when Mi'kmaq, Maliseet and Passamaquoddy First Nations signed "Peace and Friendship" treaties with the British in the 18th century. "Some of the earlier natives, during the signing of treaties, would have had to go to Boston to negotiate this treaty, from all over New Brunswick. ... This would probably be the same route they took to get to Boston." The historical significance of the route is clear to those who have walked or worked on it. 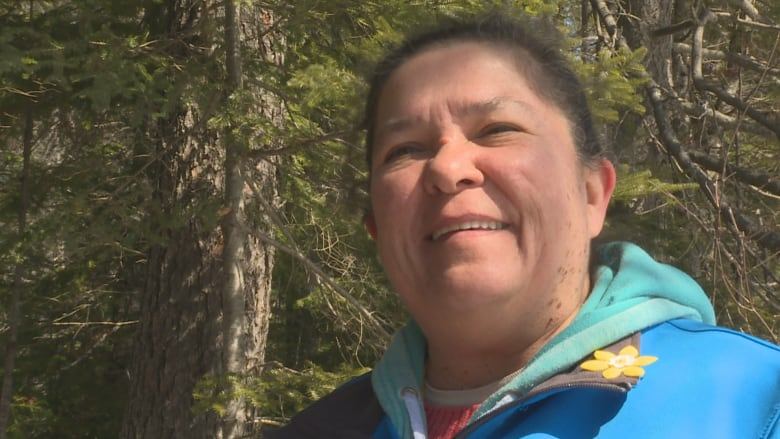 Levi-Peters, of Elsipogtog, supports the restoration and would like more people to enjoy the winding path through New Brunswick's past. She's already talked to Premier Brian Gallant about the path's importance as well as its potential for tourism. "It's part of our history," she said. 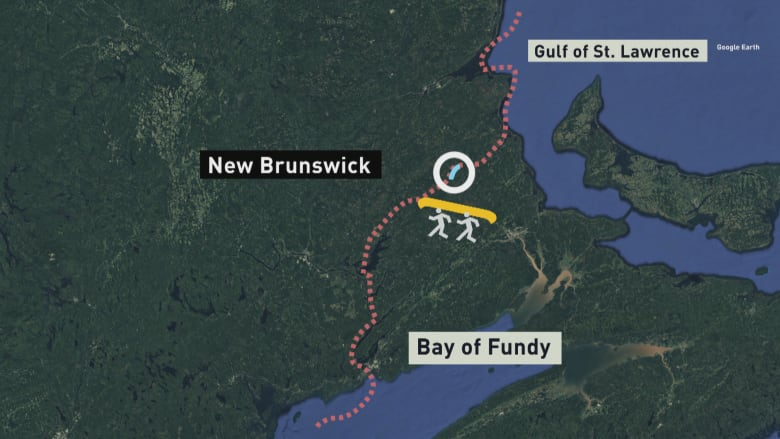 "And I did, last summer, I spoke with the premier of New Brunswick in Bouctouche at the farmers market, and I told him about this trail. And I'm hoping that they would preserve it."